The Title caught my attention. Jaya had put Mahabharata in a new light for me but that was still Pandava side of the story. 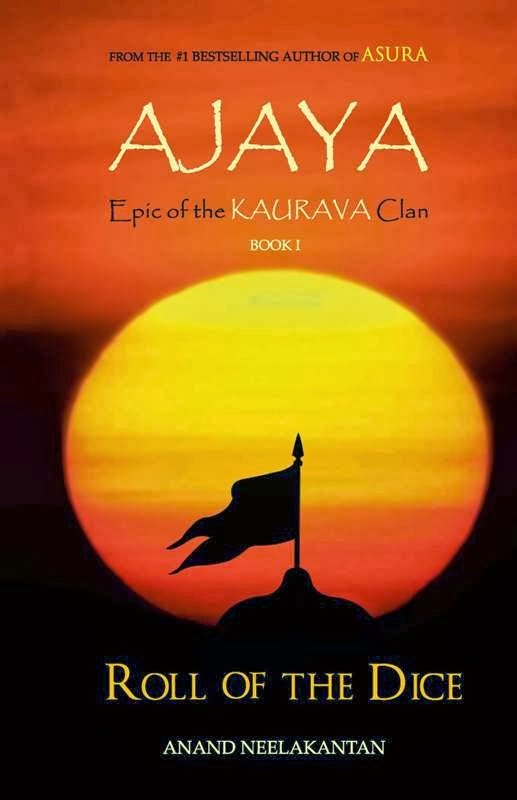 Ajaya narrates Mahabharata in from the much ignored Kaurava perspective. Parashurama, the enigmatic Guru of the powerful Southern Confederate, bides his time to take over and impose his will from mountains to ocean. Ekalavya, a young Nishada, yearns to break free of caste restrictions and become a warrior. Karna, son of a humble charioteer, travels to the South to study under the foremost Guru of the day and become the greatest archer in the land. Balarama, the charismatic leader of the Yadavas, dreams of building the perfect city by the sea and seeing his people prosperous and proud once more. Takshaka, guerilla leader of the Nagas, foments a revolution by the downtrodden as he lies in wait in the jungles of India, where survival is the only dharma. Jara, the beggar and his blind dog Dharma, walk the dusty streets of India, witness to people and events far greater than they, as the Pandavas and the Kauravas confront their searing destinies. Amidst the chaos, Prince Suyodhana, heir of Hastinapura, stands tall, determined to claim his birthright and act according to his conscience. He is the maker of his own destiny or so he believes. While in the corridors of the Hastinapura palace, a foreign Prince plots to destroy India. And the dice falls. Did you know that Duryodhana is worshipped in some part of the country? I was in for a surprise when I read the author's note and the book engaged me from that page itself. Moving on to the few chapters available as prelude, I was on the edge reading this book. The story for once shows Bheeshma in a human light! The gripping narrative of Bheeshma's emotions left me in awe. I can't wait for the book to release now!